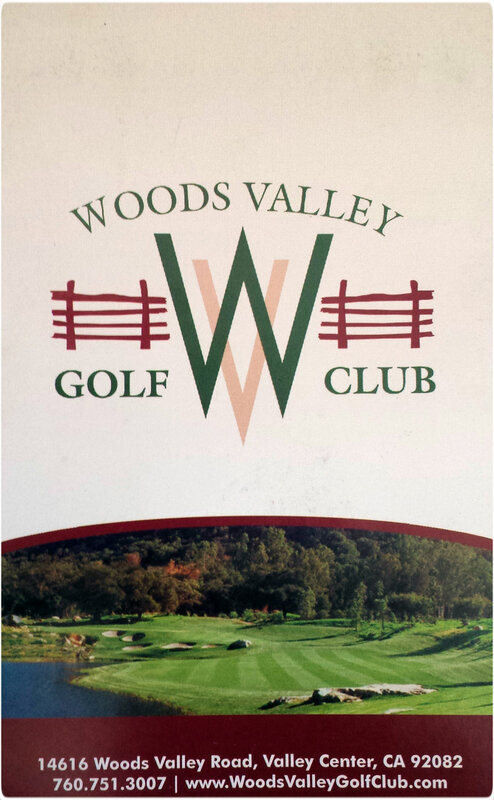 On Wednesday a couple of friends and I headed up to Woods Valley Golf Club up in Valley Center, CA to try out a new place. None of us had ever played there before and we were pleasantly surprised to say the least! This has become one of my new favorite places to play due to the amazing conditions and pricing. It was only $27 to play at 12:30, the course was in excellent condition, nobody was on the course and the staff even let all 3 of us get our own cart! So we were loving it, just cruising all day and I’d highly recommend this course if you’re in or around the San Diego area and want to play a challenging, well conditioned course for cheap…and don’t we all! Ok now back to the round, basically here in San Diego we have been experiencing really high wind speeds this week, it was 20mph steady for most of the day as well as gusts into the 30’s so this made for a challenging day. I actually hit the ball awesome even with the wind, was gauging my distances well and ended up starting 1 under after 3 and I missed an 8 ft straight makeable birdie on the par 3 3rd. I drove the ball well all day, I did have 3 into hazards, 2 on par 5’s off the tee, but this course has very tight fairways and all of those penalty drives just barely skipped in, so I don’t fault my driving. I know I hit it well off the tee especially since I hit 9/14 FW’s overall, most I’ve had in a long time. My putting is what cost me in this round, three 3-putts and about 4 putts missed from 6ft or less, it was disheartening. Like I said, I had started off 1 under after 3, and then on 5 I 3 putted from about 15 feet, 3 putted the 6th too from about 20ft after hitting a great shot from a fairway bunker onto the green. Then hit the tee shot on 7 to the right, I don’t know how I couldn’t find the ball, I would have thought it would have leaked onto some fairway on the back 9 that runs adjacent, so I was stunned I couldn’t find it. It must have gotten unlucky and got caught up in the thin strip of bush the lined the hole between the two fairways. So I had to drop and I hit a gap wedge to about 4 ft and had a great shot to still save par, but I missed the putt!! Ended up paring the 8th, but 3 putting the par 5 9th for bogey after basically driving it in 2, just to the left of the green. Zero confidence in my putting stroke and I don’t know what to do, it is killing me from getting to scratch as I’m hitting the ball so well right now, I just can’t convert anything and it is seriously costing my 5-8 strokes per round. So even with all those short game errors and 3 penalties, I still shot a 79 (+7) at a very challenging course from the very back black tees in 20-30 mph winds. Not sure I’ll be able to play again either Saturday or Sunday, so I’ll hit up the practice putting green over the next few days and try to get some confidence back in the short stick going into next week’s rounds.